It started when I found a used 2003 Chevy Trailblazer LS on Craigslist in May of 2014. It only had 65K miles on it, and the price was right. 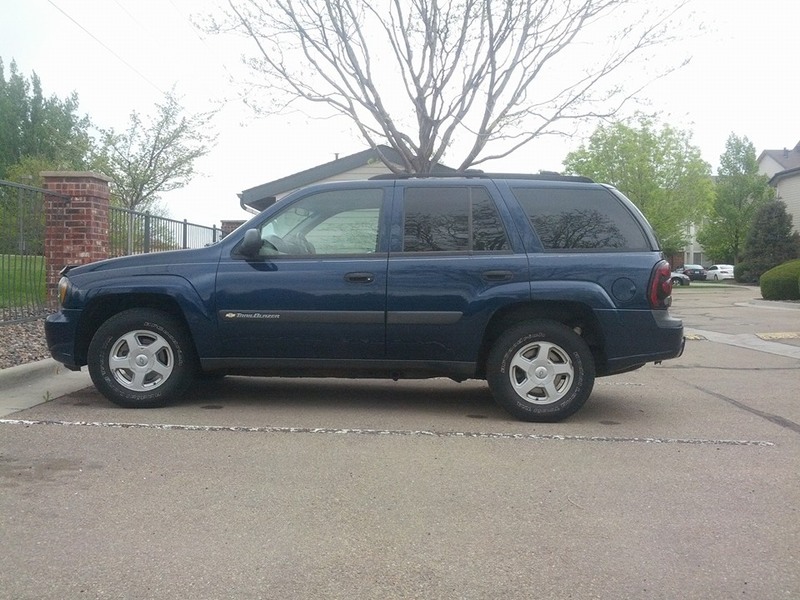 Here's what the vehicle looked like when I bought it. Here's the current view (will change as things progress). Last edited by hilljb on Tue Dec 29, 2015 5:30 pm, edited 1 time in total. I went with the Tahoe Z71 springs to get an extra inch or so of lift over the suspension lift. 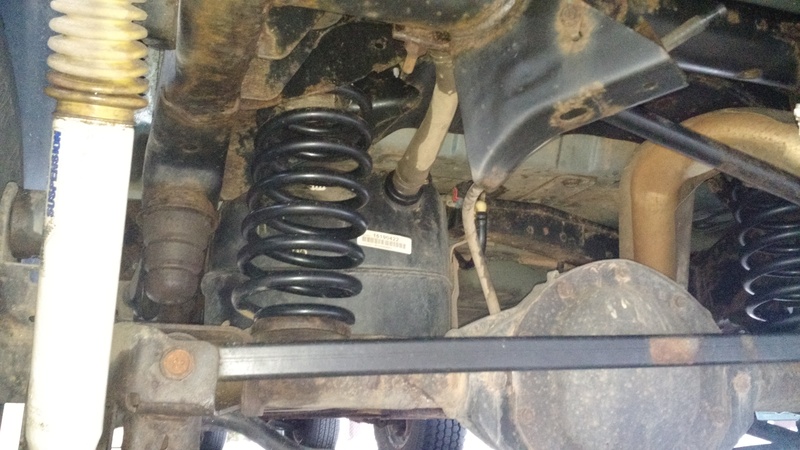 Those springs have a non-linear spring rate, which definitely helps if you plan on loading the truck down a lot and not having the rear end sag down on the stock springs. Now, I know that some careful observer will see the pictures below and know that those aren't stock Z71 springs. 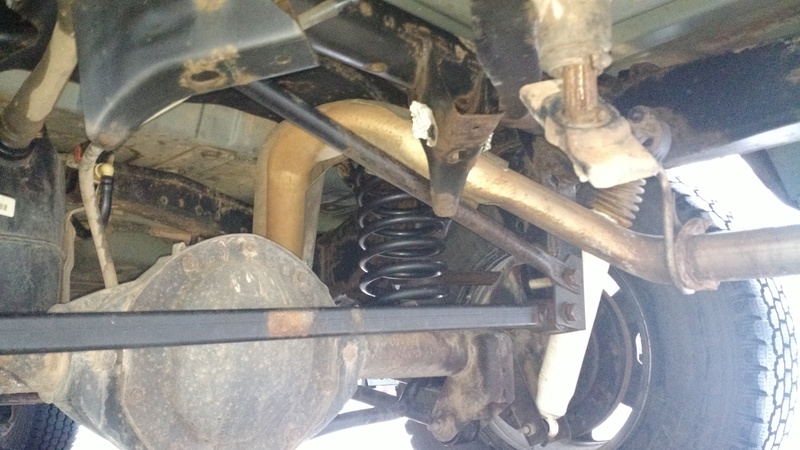 I decided two weeks before a trip, when I knew the truck would be heavily loaded, that I needed the Z71 springs. I couldn't mail order them in time, so I got the non-OEM springs from the local AutoZone. Those aftermarket springs actually ride a bit higher than the stock Z71 springs, and they're a bit cheaper. So far, they've been working out really well. Lift the vehicle so the rear axle is hanging as low as possible. Stabilize the vehicle. Using your coil compressor of choice (I use a MacPherson strut compressor set I found on Amazon for $35), compress and remove the springs. Place the 2" spacers on top of the compressed springs and replace the springs. I also added a panhard bar drop bracket to move the wheels back toward the driver side of the vehicle. This isn't really required and not having one won't affect any part of your alignment that would wear the tires, but it can be nice to have the wheels centered. I did have to drill a hole in the frame in order to mount the bracket, and the bracket did come loose a few times after the lift, but it was generally an easy install. I went with the BDS 5500 shocks on the rear, which are simple to install. I did buy boots for the shocks, just in case that helps keep any dirt or mud away from the seals. Here's what the rear end looks like from underneath. Notice that I've replaced the resonator with a straight pipe in addition to the mods detailed above. On the front, the lift is a little more involved, but still not too challenging. I'd recommend having a good pickle fork to help remove the strut from the lower strut mount, which makes getting the strut out a lot easier IMO. If you plan on running larger wheels, you'll also need wheel spacers (I have MarkMC's) to push the tires out enough so that they don't rub on the upper ball joint. Some time in the future, I plan on replacing both upper and both lower control arms, replacing both CV axles, and replacing both outer tie rod ends in a single weekend. The only really rusted components on the truck right now are the control arms. 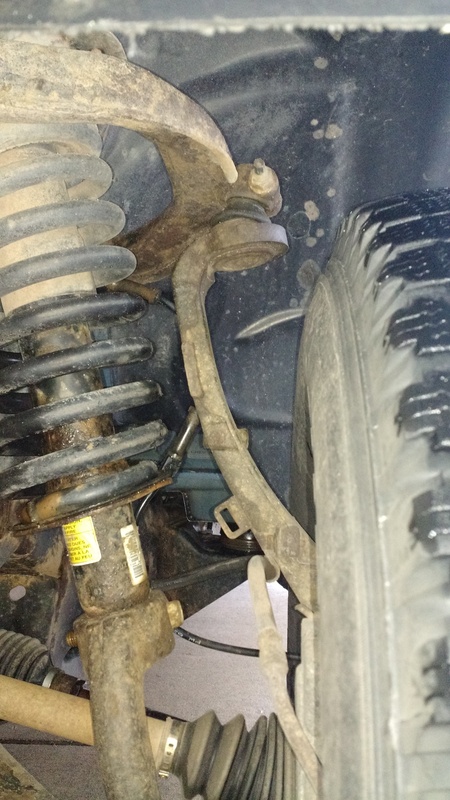 After off-roading for the past year and a half, all of the bushings and ball joints could stand to be replaced. At that point, I also plan on adding stiffer front springs and probably replacing the strut bushings. That'll be a long weekend. I have read mixed reviews of the ability to hold a 265/75R16 tire using the stock spare tire carrier under the back end of the truck. In the end, I'd rather have the tire hanging off the back of the truck. It just makes everything easier and keeps the spare tire away from rocks. But, there are limited options for our trucks when we want to carry tires on the rear end. There are a few custom rear bumpers that include a tire gate, and I have seen a few others use modified aftermarket solutions. I was starting to head down that route myself until I found a Wilco HG TireGate locally on Craigslist. 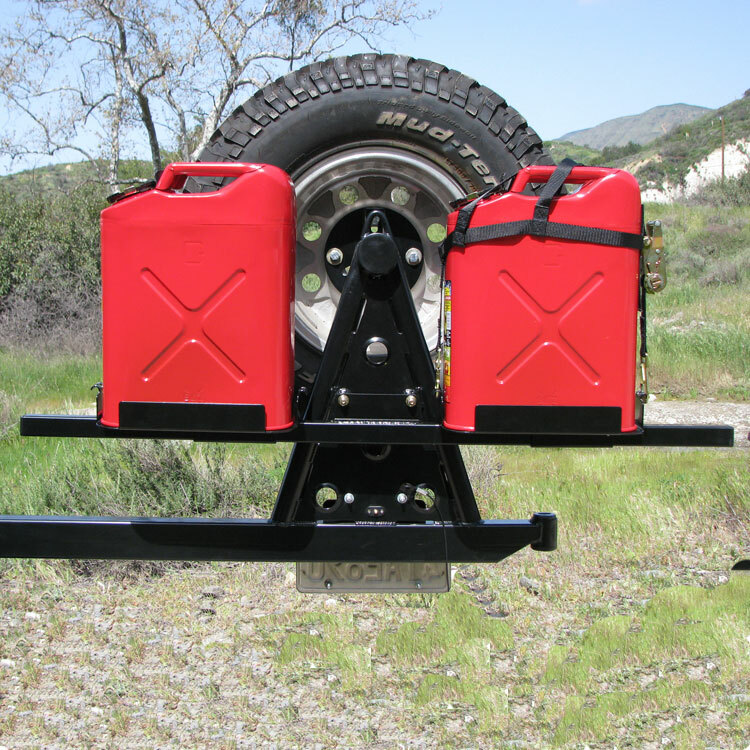 The tiregate normally retails for about $780, which is a lot IMO for a hitch mounted tire carrier. I found mine locally for about $400. The guy was selling his after using it for a year or so, all because he didn't like how far it carried the spare tire away from the back of the vehicle. 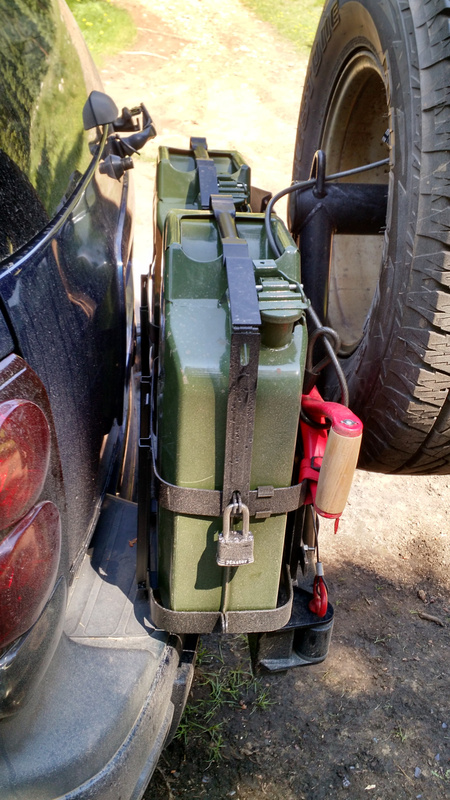 I figured I could use this to my advantage and get or make a jerry can holder in that extra space. I figured that I could drill a few holes and use some 2"x3/8" steel bar from Home Depot, plus a couple of $35 jerry can holders from Amazon to create my own solution. (I also ordered the jerry cans on Amazon.) 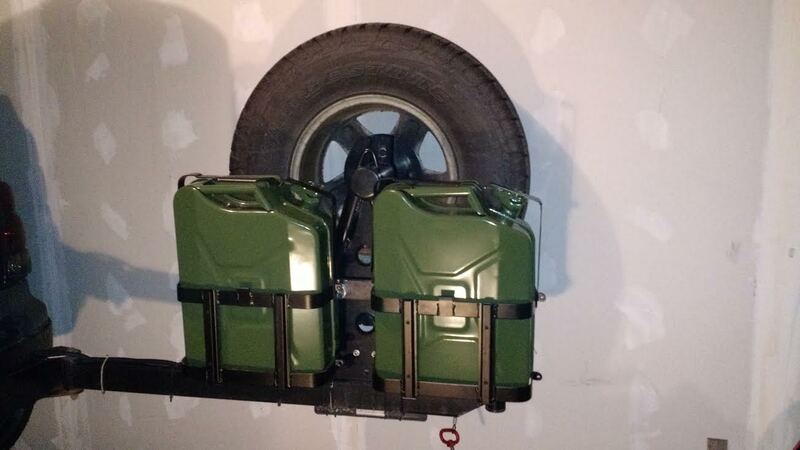 The other thing that I didn't like about the Wilco product is that it holds the jerry cans high in the air. I'd rather have them just above the bumper, so I can open the rear window when the cans are in place. After a couple of hours of planning, drilling, painting, and mounting, this is the solution I came up with. It's been working really well. One thing I didn't anticipate was how much air pressure changes would affect the jerry cans. Going from 5K feet to 14K feet above sea level and back can really make them expand or collapse. They expanded so much during one trip that one can broke a weld on one of the mounts. Nothing that some creative drilling and a few bolts and nuts didn't fix though. I just need to keep in mind that the cans can change shape based on air pressure and temperature. I added a license plate light to the tire gate, wiring the light in to the towing harness and feeding the wire along the bottom of the tire gate. Even with the bushings that allow the gate to swing, the light seems to be well enough grounded to allow it to function well, so I didn't both adding any extra grounding for the light. When I went back and added a CB radio antenna to the tire gate, I did add a ground for it and soldered that in to the ground wire on the towing harness. This effectively means that the tire gate cannot be removed, unless I want to snip those wires and make a removable harness for them.